I saw Patrick Larkin first speak at the iPad Summit last Fall. If you would like to read about that, see my blog post “Getting Your Entire School Community on Board with iPads (1:1).” Given that experience, I could not pass up an opportunity to watch him again. Patrick starts out his discussion by telling us about his journey implementing iPad into a 1:1 environment. He recognizes that we are not doing what we could with iPads. As leaders in education and educational technology, iPad provides a unique opportunity for leadership. One of the key elements of leadership is the necessity of modeling tools and behavior. In the case of a massive transition in technology and pedagogy, you need to be not just the lead user, but the lead learner! Given that, what should school leaders be doing with iPad? If we ask teachers to build their curriculum off of their desired outcome, we need to do the same with technology as educational leaders. Leaders have different needs than educators (although there can be some overlap). They need to serve as evaluators, record keepers, communicators, organization, and professional growth. This is a collaborative experience and process involving administrators, educators, students, and parents. Broad initiatives need the input of learners. You also invest in key people – those who will help to share the vision and expand on ideas. We need to model what it is to be an effective digital citizen. He asks, “What would you think of me if the following Tweets were all that you knew about me?” He then showed us an example of various tweets from students (with expletives bleeped out). Many administrators are uncomfortable with social media. Students are largely navigating this arena without adult supervision or guidance. If we ignore this aspect of education, then we are being negligent educators and not fulfilling our mission as educational institutions. Right now, litigation is a concern for many institutions and schools causing districts to legislate social media rather than teach and model it. Patrick makes an interesting point that we are regulating social media in a way unprecedented with other learning tools. This is another element of modeling tools and innovation that we want to see with our educators. We need to adopt digital learning tools in our own lives, training, and practice. For example, data collection can be done digitally via a google form, subsequently modeling an assessment technique that we may want to instill in our faculties and students. Patrick’s argument is that learning should be an individualized experience. We need to empower educators in their own classrooms and provide them the tools that they want and need. One educator made the point that iPad can magnify problems that already existed. Patrick pointed out that the problem is generally neither iPad nor technology, but rather an underlying issue that is now brought to administration’s attention. Administrators must provide an environment for professional learning, adequate resources, and direct professional development support for their faculty. Instruction can and should be differentiated (as we expect educators to differentiate their teaching). In addition to access, we need to provide teachers with time to do work. He also stressed the importance of sharing our professional development innovations with one another. Administrators and educators must continuously use digital tools and technologies to improve organizations, communication, and overall systemic structure. We can engage the community in these conversations as well – technology firms, businesses, communication experts, etc. – to provide support. For example, Patrick uses Evernote (one of my favorite applications) to provide instructional feedback and support and highlights several other applications that he regularly uses. In the end, I was surprised at the number of social media applications in his repertoire. Surprised, but thrilled. I love transparency in education and leadership. 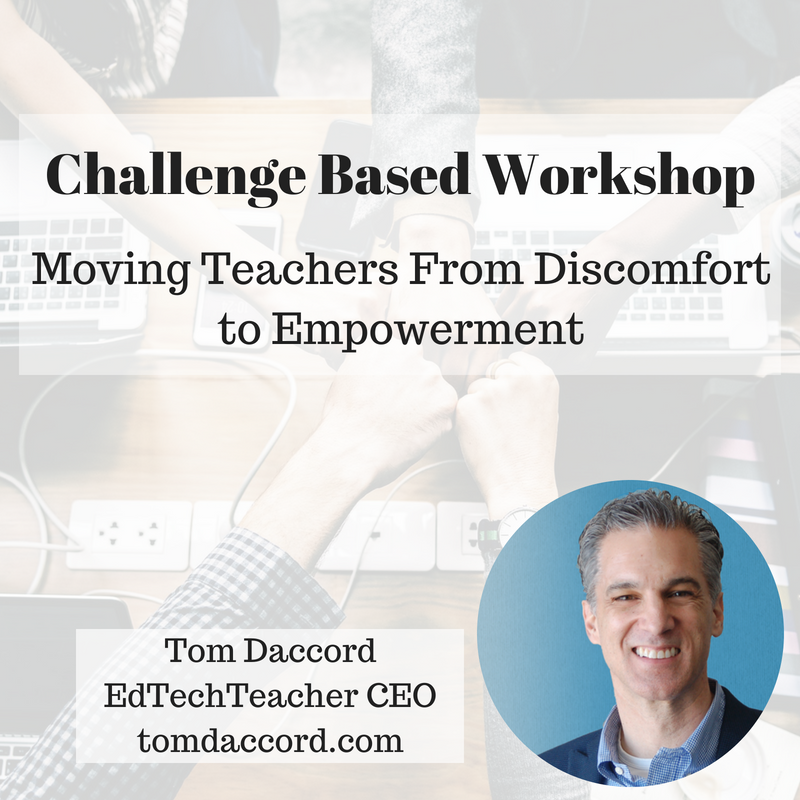 As school leaders continue to encourage their faculties to innovate, experiment, and transform learning experiences for their students, it will become increasingly critical for them to model the desired behavior for their teachers. Largely what I took away from this session is the importance of this modeling.